Curious if you have integrity? 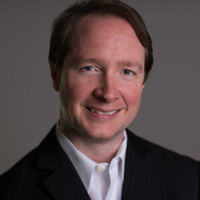 Listen to the interview by PsyFit to find out the three questions that make the difference. Koby is a Florida native and Founder of InnovativeFront, a drummer, an artist, a voracious reader, and a dog lover. His ancestors were action-tested military men that came to Florida to help start a pre-Disney attraction called Cypress Gardens. They were the proud sons and daughters of both the tough Irish on one side; and Arkansas bootleggers on the other. His uncle was a magician, his neighbor owned a Bengal Tiger, he was indirectly struck by lightning, and had a dog that could climb trees so he built it a treehouse. He has had an unusual life, and plans to keep on living it to its fullest. He was raised with a simple truth: Action speaks louder than words. He became a man by making it his personal mission to deeply understand, inspire and encourage the best from the people in his life. Koby is available to speak at your event. For bookings, please contact us below. It doesnt take a disfiguring blow to the head to wake up and look at your own life. An unexpected event can trigger self-examination, but the seeds that produce integrity – that desirable and durable quality – exist now in your life. Core principles emerge from everyday decisions. Circumstances require choice and every day brings new opportunities, whether dealing with mind numbing routines or rising to the challenge to take a principled, but unpopular stand apart from the crowd. Hard choices build strong character, just as caving into pressures weakens your core. 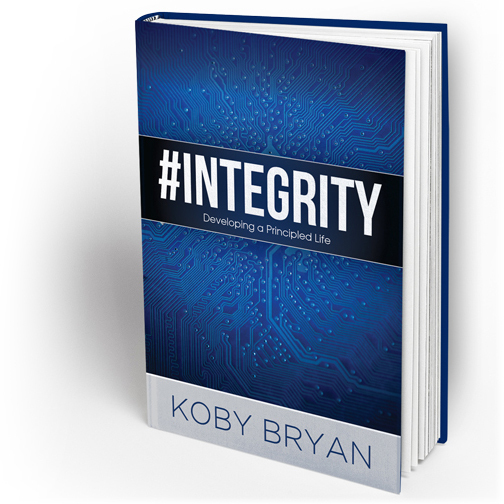 #Integrity gives you riveting examples from Kobys life, of risks taken to do the right thing and the long term outcomes of those decisions. His stories provide a backdrop to recall your own. Some will grip your heart while others may bring a smile to your face. Youll identify with the kinds of incidents he faced by remembering and identifying similar situations from your past and present. If your background lacked such grounding, youll find encouragement to develop inner strength now, as an investment in a fulfilling future. If you had a stable, nurturing environment, you’ll discover insights that will solidify your previously grounded values. No one lives in a vacuum. We live in a time when people expect much for little or no effort a consequence of our cultures descent from higher aspirations of the past. Many have taken the route of the dead fish floating downstream, battered all the way. Others choose to head upstream, learning to swim against the current of popular attitudes and seek deeper understanding of themselves and others. Unexpected opposition shows up in life. It can be physical, emotional, or social. You choose your own future. If you want to be your best and strive to live each day with excellence, you must read this book. Every day, every minute, life delivers opportunities by means of challenges and choices. Integrity underlies dependable behavior and, thus, achievement. Your integrity attracts like-minded people to you when you want to produce and create. On a day-to-day basis, treat large and small commitments as inviolable, no matter the consequences.